Were you the victim of an accident that left you with personal injuries? If so, you’ve come to the right place. Our dedicated personal injury attorney in Phoenix, Arizona is known among the best in the area. Best of all, when you choose our experienced Arizona law professionals to handle your personal injury claim you don’t have to pay attorney fees unless we win. We hope you’ll also find comfort in the fact that we have a 99% success rate, which means we’ve won or settled 99% of our personal injury claims. Let us bring you the comfort and peace of mind you deserve at a time like this in your life. Regardless if you incurred your injuries at the hands of a reckless driver, defective product, medical malpractice, dog bite, construction or some other cause, we can help. The U.S. Centers for Disease Control (CDC) and Prevention reported that during 2013 there were 31 million emergency room visits because of unintentional injuries. There were 130,557 deaths because of such accidents. These accidental deaths were the result of falls, car accidents, unintentional poisoning, and firearms. While all these are tragic deaths, they could each warrant a personal accident claim that depends upon how and why the accident happened. The CDC doesn’t maintain data regarding the number of personal injuries and deaths that don’t fall within one of the specific categories previously mentioned. Injuries and deaths can result from unsafe property or defective products. If you have suffered an injury, you have the legal right to seek compensation for all accidents and injuries if they were caused by another person’s negligence. A personal injury attorney is available to guide you through the process if you are not sure where, when or how to start. While you are under no obligation to file a personal injury claim, it is usually in your best interest and can help you recover the funds you need to cover medical expenses, future medical care and rehabilitation, and even your basic living expenses while you are unable to work because of your injuries. How to Tell If I Have a Personal Injury Claim? Some injuries are the result of accidents, such as stubbing your toe, losing your balance, burning yourself while preparing a meal, or tripping because you don’t look. No one is really to blame if a legitimate accident happens. However, there are personal injuries that result because of a party’s irresponsibility and negligence. These accidents, such as a bar crash resulting from defective tires, there is someone to blame because it could have been prevented. Most serious personal injuries could have been prevented, and they are the result of a party failing to exercise due care. 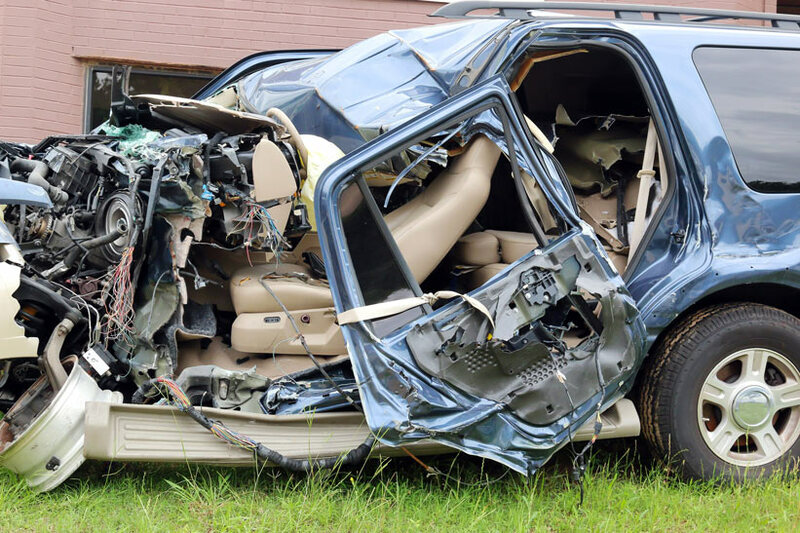 When this kind of accident happens, the person who has suffered injuries should seek the best personal injury attorney in Phoenix to file a claim against the liable party’s insurance. In some cases, the lawyer might file a personal injury lawsuit directly against the party who is at fault for the accident. Known as tort lawsuits, they are a kind of legal action filed in civil court by a personal injury lawyer. No one is exempt from personal injuries or personal hurt claims. Anyone could be negligent and cause a personal injury worthy of a personal injury claim. If you have suffered personal harm, you or your attorney have the right to file a Phoenix personal injury claim against any individual, party, or entity that is liable for causing your harm. You could also pursue damages against a public organization, a non-profit organization, individual person, government entity, corporation, or a private business. They even include mental and emotional anguish you have suffered from the accident. Pursuing legal action can help you provide for your family, which is one of the main reasons that people decide to take civil action and hire a personal grievance lawyer to ensure they win their claim. If you have a spouse, dependent children, or parents who rely on you financially, your injury could significantly impact your ability to offer emotional, physical, and financial support to those you care about the most. If you file a personal injury claim and recover the funds you are entitled to receive, you can provide your family with their basic living needs, such as shelter, food, clothing, education, medication, healthcare, and so forth. You may be able to recover enough funds to help you provide for them in the future if you cannot return to work, or if you are going to suffer a premature death as a direct result of your personal injury accident. Is Filing a Phoenix Personal Injury Claim Expensive? Many people believe that it is too expensive to file a personal injury claim. However, you don’t have to hire an attorney that charges upfront fees or hourly rates. Instead, hire an attorney who works on a contingency basis, who isn’t paid until you get paid. Even with these kinds of cases, the lawyer receives an agreed upon amount that is based on a specified percentage of your personal injury settlement. In a contingency fee case, if you don’t win a settlement your lawyer will not be paid. Call us today to learn how we can help you win your accident claim on a contingency basis. Can a Personal Injury Attorney Help with My Claim? There is no point in suffering silently for somebody else’s mistake. Many people have experienced an accident caused by someone being reckless or careless. When this happens, they are inclined to file a lawsuit. Before doing so, it is important to speak with a lawyer. A personal injury attorney is there to help clients that have been severely injured due to the negligence of another individual or business. There should be a lot of thought before a lawsuit is filed. Pursuing a lawsuit can be emotionally exhausting, time-consuming, and even expensive depending upon the legal representation you choose. However, filing a lawsuit might be the right thing for you to do based on your individual situation. If you are undecided about whether you should file a lawsuit because of a brain injury, spinal injury, burn injury, dog bite injury resulting from negligence, you should consult with a personal injury attorney in Phoenix, AZ. For example, there are attorneys that specialize in birth injury lawsuits focusing on birth injuries. Furthermore, brain injury lawyers focus on injuries involving head trauma causing brain damage. Some injuries can be challenging to prove. As an example, a traumatic brain injury attorney in Phoenix could be challenged by proving actual brain damage, so it should be obvious that choosing the best Phoenix personal injury law firm to defend your case is important. By doing this, you get a personal injury lawyer who is paid based on his or her success in regards to your personal injury settlement in Arizona. Now you can seek FREE advice from one of our qualified Phoenix personal injury lawyers. And our reputable Phoenix law firm has an experienced accident injury lawyer to handle the more challenging and unusual injuries that are caused by negligence. The first thing to know is that this is going to be a long war. Unless you are prepared to brace the test, you will want to go ahead and hire a good personal injury lawyer, who can put up the fight for and eventually win a decent compensation for your injuries. Depending on the nature of the injuries, he/she will present the case in front of the court and convince them that you need compensation to settle your medical bills and provide for your daily needs for a certain period of time. The main thing to know about lawyers is that all of them do not focus on personal injury cases. That is why you will want to find out whether the personal injury lawyer has experience in dealing with these kinds of cases. Apart from that, the lawyer should also focus on injuries which are caused by burns and accidents. Your kinds of requirements. That is because you can be assured that the insurance firms will have lawyers who are experienced in dealing with and handling injuries of these kinds. Hence the personal injury lawyer should be experienced and skilled which enables you to get a good compensation. It is better for your case when the lawyer has friends who are in the medical field who can help to strengthen your case. He/she should have won cases dealing with injuries of your kind. The main issue with these cases is that lot of time is spent in presenting it in front of the insurance firm and court. Hence all the documentation should be ready at any time. This helps things to move quickly. The personal injury lawyer should be able to help you out by performing tasks like gathering witnesses and handling other expenses as they come. The law firm should not take advantage of your situation. The lawyers focus on the various kinds of personal injuries claims. When you are planning to sue a medical practitioner, then you need a lawyer who has worked on complicated medical cases. Unless the personal injury attorney is certified, skilled, and has a certain amount of experience, you are headed nowhere. The areas of auto accident, dog bite, defective product litigation, scarring and disfigurement, slip and fall cases, construction accidents have lawyers who are experienced in them. It is fine to ask questions like the number of cases they have fought and worked with? How did they face challenges and how did they deal with them successfully? Unless you know the answers to these questions, you are hiring an average lawyer. It is not about merely hiring a personal injury attorney to file a case. But, you need a personal injury attorney in Phoenix who can get the compensation you deserve. Hence it is important that you seek out the top personal injury lawyer in Phoenix AZ and that is Attorney Nathaniel B. Preston.